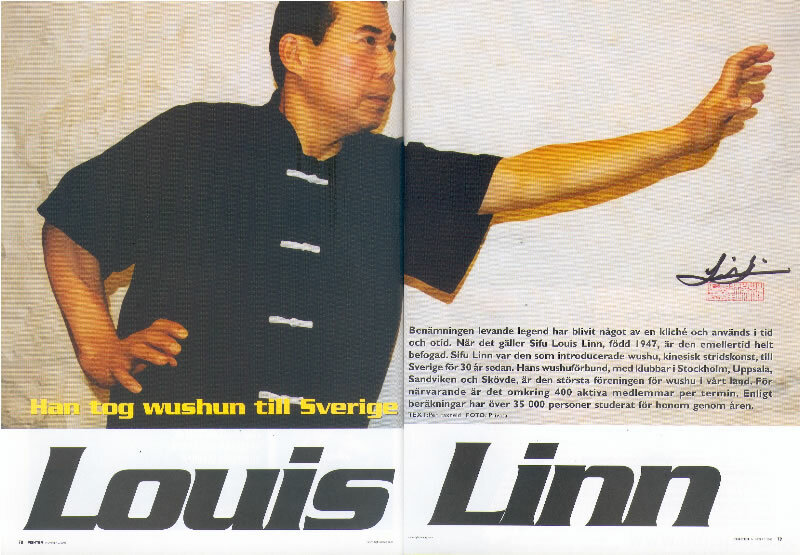 Sifu Louis Linn arrived to Sweden in 1975 for a short business stay, but it turned out to be a longer visit. He realised that the Swedes did not have much knowledge about Chinese martial arts and he saw his mission to teach the classical form of Wushu, Chinese martial art, also popularly called Kung Fu. 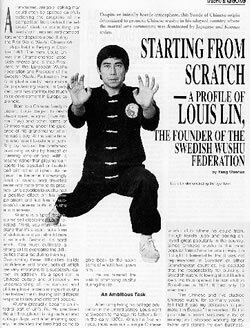 He soon became a well known figure in the martial arts society in Sweden and established Louis Linn O Shin Chuen Union to promote his family style O Shin Chuen. He was commissioned to teach hand-to-hand combat to the officers at Kustjägarskolan (the Swedish coastal rangers in the 1st Marine Regiment) and Stockholmspolisens särskilda insatsstyrka (the Counter Terrorist Unit of the Stockholm Police Force). 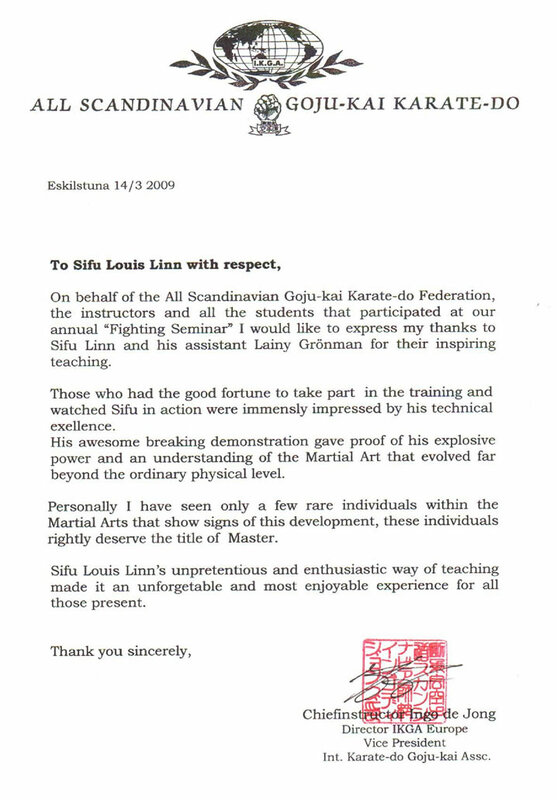 Sifu Linn also taught the health beneficiary of Wushu at The Royal Opera and the International School of Stockholm. 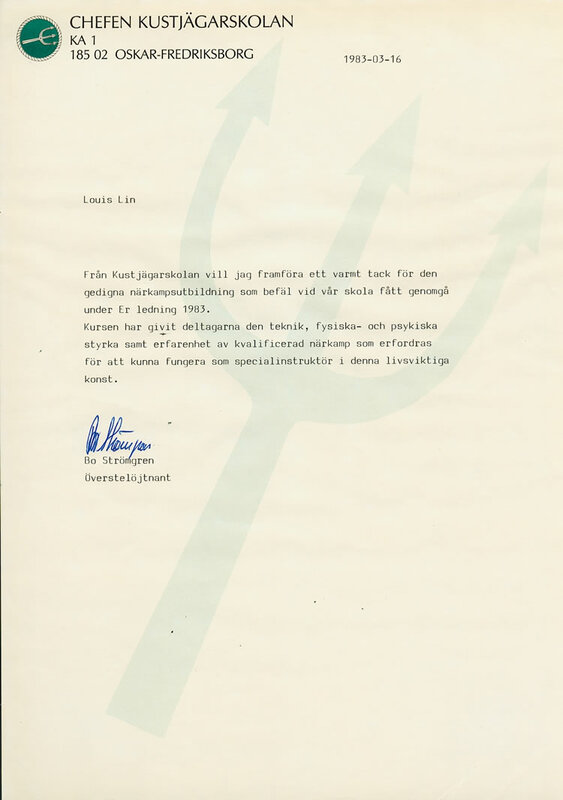 During the 1980's he began his work promoting Wushu with establishing the Swedish Wushu Federation, was one of key figures in founding the European Wushu Federation and the International Wushu Federation. In 2004 he founded the Swedish Shuai Jiao Union which is a member of the European Shuai Jiao Union. 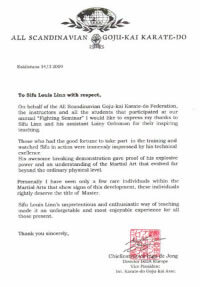 Today he is still active as the chief instructor of Louis Linn O Shin Chuen Union. Sifu Louis Linn was born in Tokyo, Japan, and grew up in Taipei, Taiwan, where he as a child came in contact with martial arts in school and through family. Sifu Linn has achieved experience and knowledge in several martial arts beside his family style O Shin Chuen. 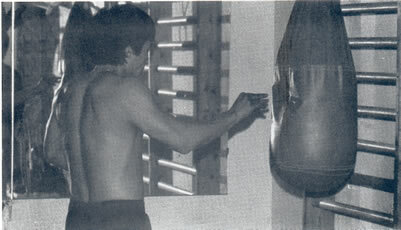 Picture: Sifu Linn in his studio in Taipei, Linn's Studio of Self-Defence, 1971. 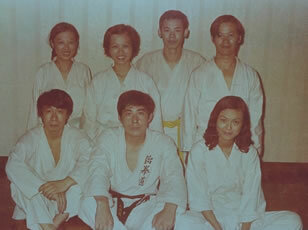 Picture: Sifu Linn's first group of students in Tae Kwon Do, Taipei 1971. Picture: Sifu Linn's first group in O Shin Chuen with american students, Taiwan 1971. After the military service in the Special Forces Sifu Linn started his own martial arts school in Taipei and got involved in the film industry in Taiwan and Hong Kong and became a well known movie actor. After the film career he decided to devote himself to teach and develop O Shin Chuen. Studied O Shin Chuen and Ti Tan Men under Grandmaster Lim Tsua. Studied Shuai Jiao (Chinese wrestling) under Grandmaster Chang Dung Sheng. Studied Tai Chi Chuan under Professor Wang Tsao Rong. Studied Chinese litterature and poetry under Professor Tien Lung. Picture: Professor Tien Lung. 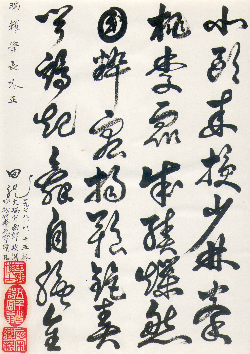 Poem dedicated to Sifu Linn 1978. 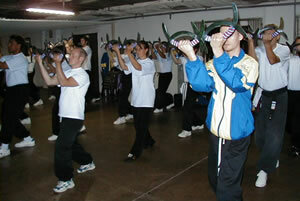 2012 Louis Linn O Shin Chuen Unionen, training camp in Shanghai, China, with 75 participants. 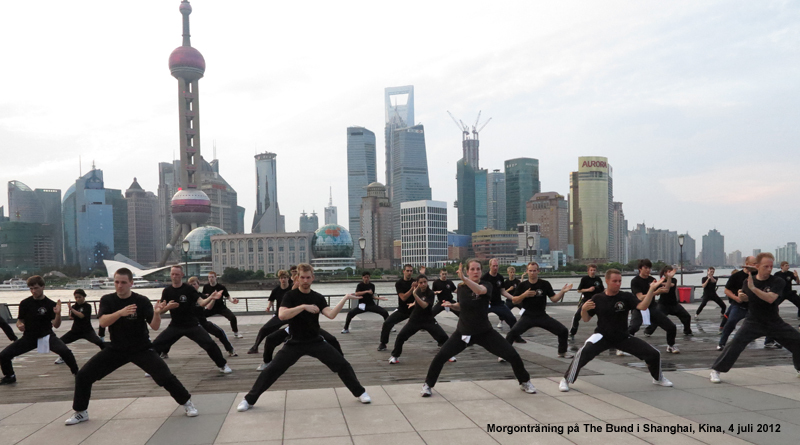 Picture: Morning practise at The Bund in Shanghai. 2009 Guest instructor at the Scandinavian Gojukai Fight Camp in Eskilstuna. Picture: Sifu Linn and Hanshi Ingo De Jong, Scandinavian Gojukai Fight Camp 2009. 2008 Chief referee in Shuai Jiao and Lei Tai Sanda at the 1st European Chinese Kuoshu Championship in Lugano, Switzerland. 2006 Chief referee at the 2nd European Shuai Jiao Championship in Luton, Great Britain. 2006 Invited to the International Karate-Do Goju-Kai Association in Tokyo, Japan. In the spring of 2006 Da Sifu Linn and Sifu Lainy was invited to the International Karate-Do Goju-Kai Association. In the picture sitting from right Sifu Lainy, Saiko Shihan Goshi Yamaguchi and Da Sifu Louis Linn. 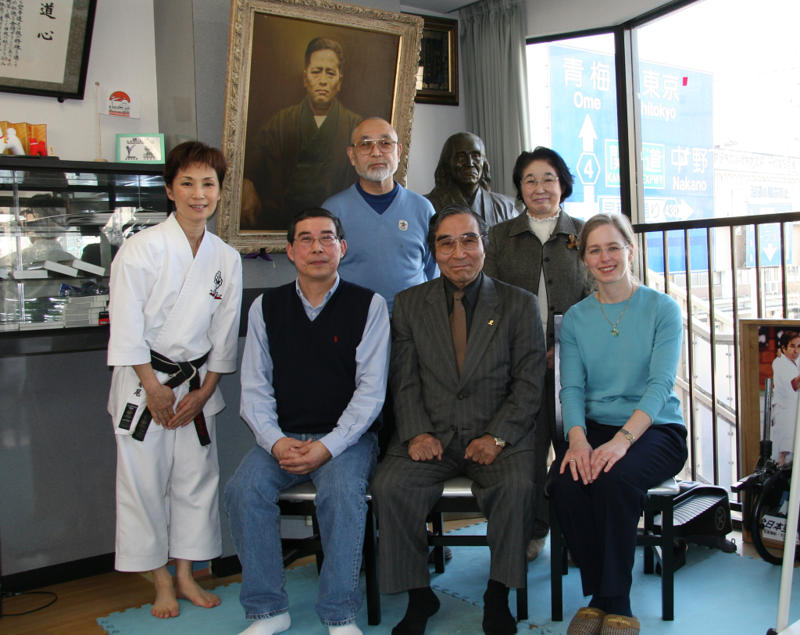 Standing behind, from right, Mrs. Yamaguchi and Hanshi Shinichi Hiromasa Kikuchi. 2005 Chief referee at the Shuai Jiao championship at the 10th World Cup International Martial Arts Championship in Milan, Italy. 2005 Chief referee at the 1st European Shuai Jiao Championship in Castellon, Spain. Picture: Interview with Louis Linn in Fighter Magazine no. 2, 2005. 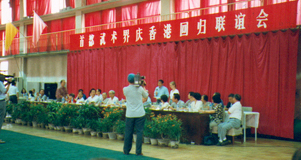 2004 Participated in the founding of the European Shuai Jiao Union, elected as vice president. 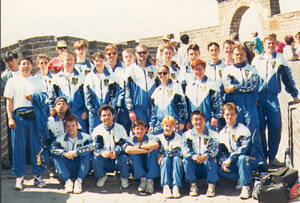 2002 Louis Linn O Shin Chuen Union-Swedish Wushu Federation (LLOSCU-SWF) Summer camp in Beijing, China. 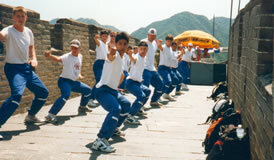 Picture: Training Bagua Yue in Beijing, China 2002. 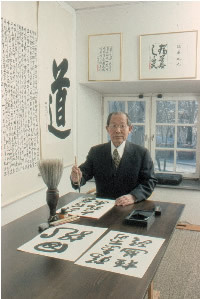 1997-1998 Taught O Shin Chuen at the International School of Stockholm. 1997 LLOSCU-SWF Summer camp in Beijing, China. the Beijing Wushu Associations celebration of the return of Hong Kong to China. Picture: O Shin Chuen training on the Great Wall. 1995 Received a recommendation letter from Mr. Li Meng Hua, former president of All China Sports Federation, International Wushu Federation and the Chinese Olympic Committee. Picture left: Mr. Li Men Hua and Sifu Linn, Beijing 1995. 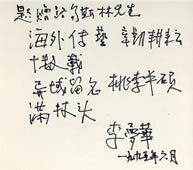 Picture right: Mr. Li Men Hua's poem dedicated to Sifu Linn. 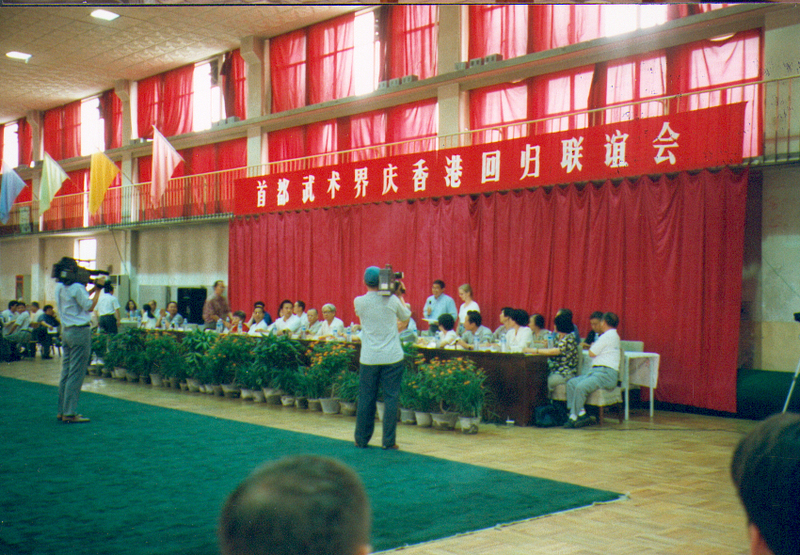 1995 LLOSCU-SWF Summer camp in Beijing, China. 1993 LLOSCU-SWF Summer camp in Beijing, China. 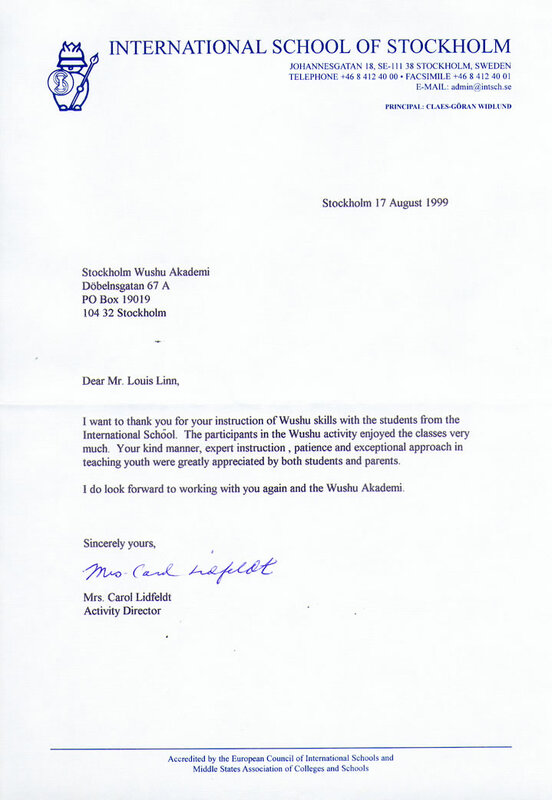 1993 Received a letter of recommendation from the Chinese Ambassador in Sweden, Mr. Tang Longbin, for his contribution of promoting the Chinese Wushu in Sweden. 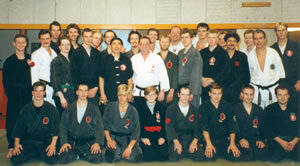 1993, 1990 & 1975 Guest instructor at Soke Bo Munthe's Ninja organisation in Sweden. Picture: Sifu Linn & Soke Bo Munthe, Bujinkan Bo Dojo, 1993. 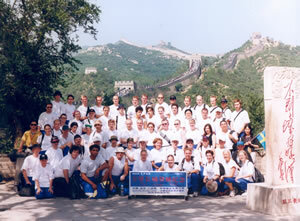 1992 The first summer camp in China with participants from LLOSCU-SWF. 1992 Interview in China Sport no. 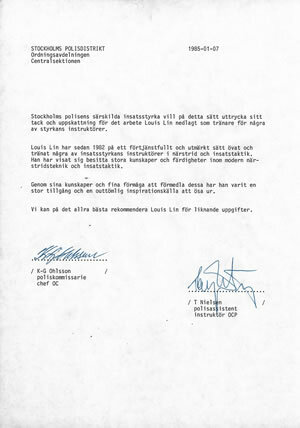 1, 1992. The only sport magazine published in English by the Chinese sport association. Picture: China Sport no. 1, 1992, Louis Lin, Father of Wushu in Sweden. 1991 Served as Deputy General Chief Referee at the 1st World Wushu Championships 1991 in Beijing, China. 1st World Wushu Championships, Beijing, 1991. 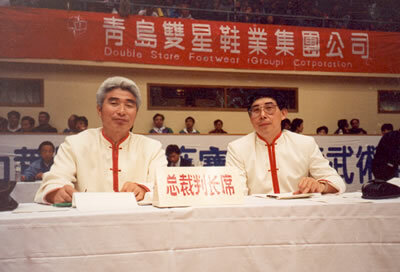 1989-1991 Served as the vice President of the European Wushu Federation (EWF). 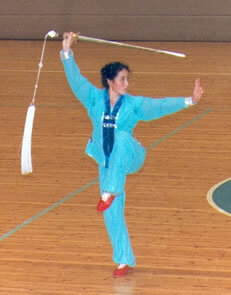 1990 Participated in the founding of the International Wushu Federation (IWuF). 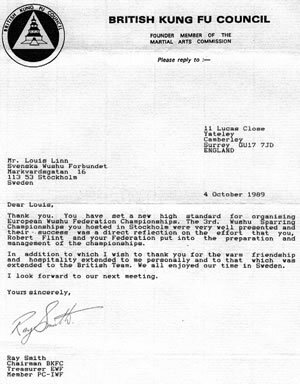 1989 Receives a letter of appreciation from Mr. Ray Smith, chairman of the British Kung Fu Council (he is presently president of the EWF), for a successfull European Wushu championship. 1989 Hosted the 3rd European Wushu/Sanda Championship in Stockholm, Sweden. 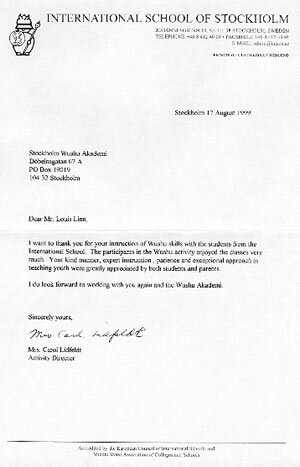 Secretary General of the SWF and the EWF, 1989.
head instructor of Skövde Wushuförening, 1989. 1989 Chief organiser and chief referee at the 3rd European Wushu/Taolu Championship in Chieti, Italy. 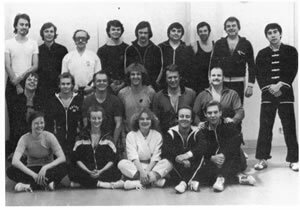 1989 Guest instructor at the week-end course in April and the summer camp in July hosted by the Finnish Karate Federation in Helsinki, Finland. 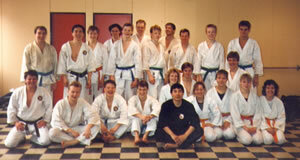 Picture: Sifu Linn guest instructor at the Karate camp in Finland 1989. 1988 Received a contribution award at The International Free Sparring Invitational Tournament held in Shenzhen, China, from the Head Body of the Wushu Federation of the People's Republic of China for promoting Wushu in the world. Picture: Contribution award in Shenzhen 1988. 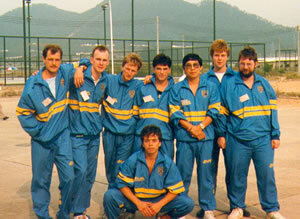 Picture: The Swedish team in Shenzhen 1988. 1986, 1988 & 1990 Invited Wushu experts from China that stayed from three month up to a year to teach standardised Wushu in Sweden. 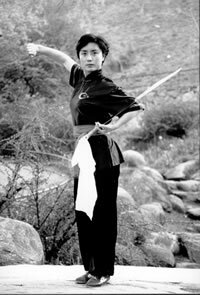 Picture left: Tai Chi Chuan Master Ms. Su Zifang in Sweden 1986, 1988. Picture right. : Wushu all-round Champion Ms. Zhang Yuping in Sweden 1990. 1985 Hosted a 3-nation Sanda championship with teams from Sweden, Great Britain and France. 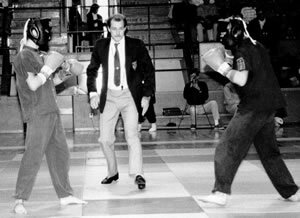 1985 Chief referee at the French Kung Fu Championship in Paris. 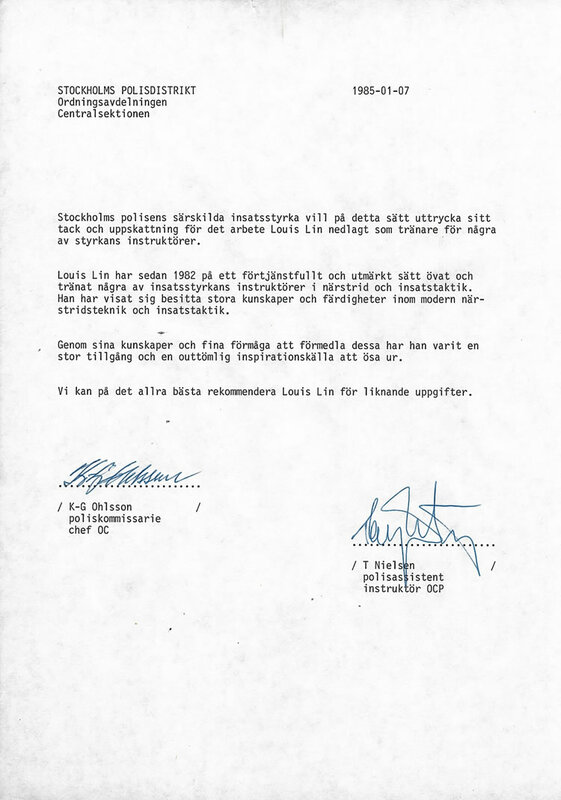 1982-85 Commissioned to teach close combat at Stockholmspolisens särskilda insatsstyrka (the Counter Terrorist Unit of the Stockholm Police Force). 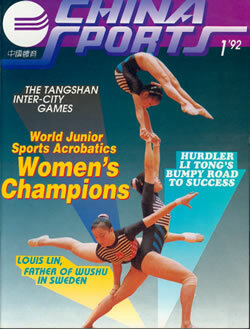 1984 Hosted the first Wushu Gala in Sweden with teams from LLOSCU-SWF and USA. 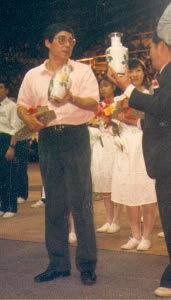 1984 Chief referee at the Italian Wushu Championship in Bologna. 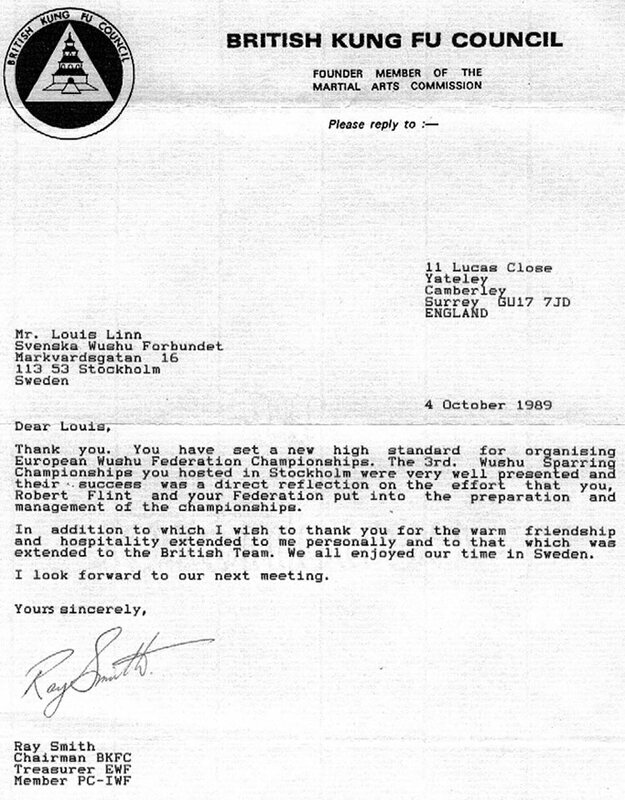 1984 Participated in the founding of the European Wushu Federation. 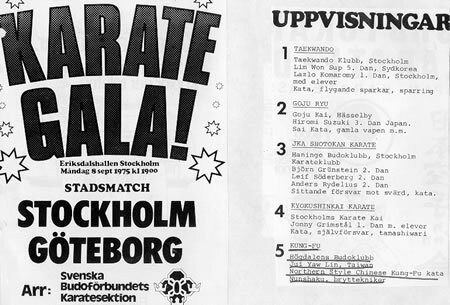 1984 The first time a group of Wushu experts from China where invited to Sweden. The group of ten experts performed in various places as a cooperation between the Swedish Wushu Federation and the Chinese Wushu Association to promote Chinese Wushu. Picture: The group of ten Wushu experts from China visiting Sweden 1984.
at the first Wushu exhibition in Sweden 1984. 1984 Sifu Linn participate in the first preparatory meeting of founding an international Wushu federation, which was held in Hubei, China. 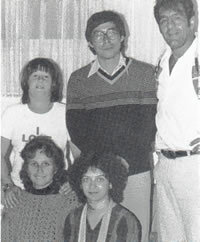 Sifu Linn sitting 2nd from right and Mr. Robert Flint standing behind. 1983 Elected Vice President in the Kuoshu Worldwide Promotion Association. 1979-83 Commissioned to teach hand-to-hand combat to the officers at Kustjägarskolan (the Swedish coastal rangers in the 1st Marine Regiment). For his outstanding service he was awarded the Coastal Ranger's green beret with the Neptune's trident and a wooden "ranger" statuette. He was the 12th person since 1956 to receive this award. 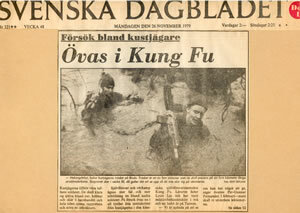 Sifu Linn teaching at Kustjägarskolan (the Swedish coastal rangers in the 1st Marine Regiment). 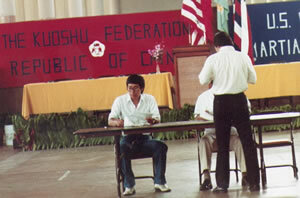 1980 Chief referee at the Internationella Kuoshu Championship in Hawaii, USA. 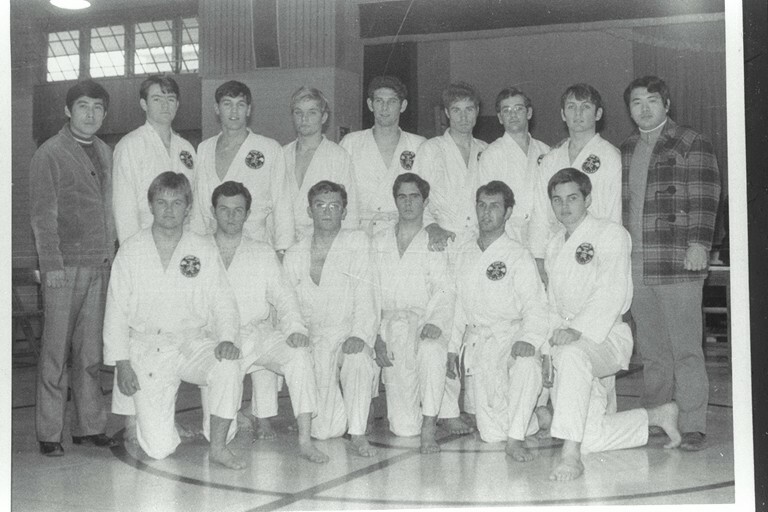 1979 Guest instructor at the Israeli Kyokushinkai Karate Federation in Israel. 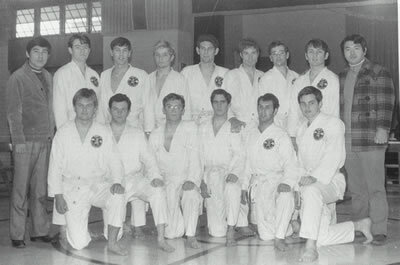 president of the Israeli Kyokushinkai Karate Federation, Tel Aviv, Israel 1979. 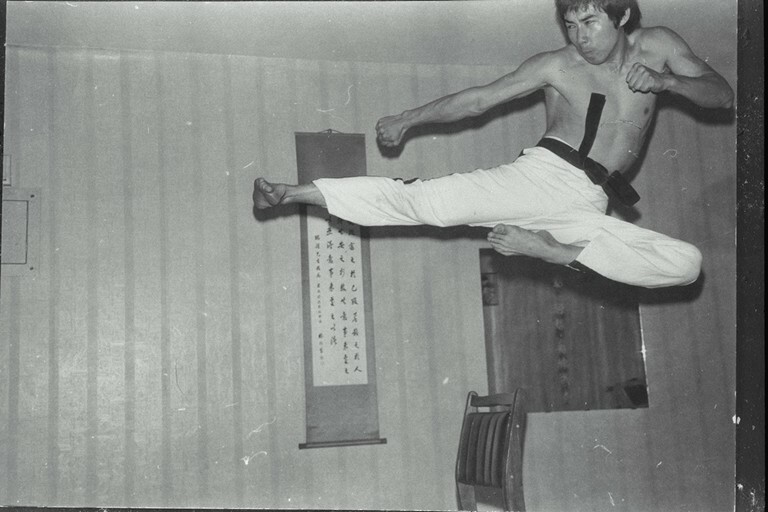 Picture: Sifu Linn performing finger thrust technique in Nathanya, Israel, 1979. 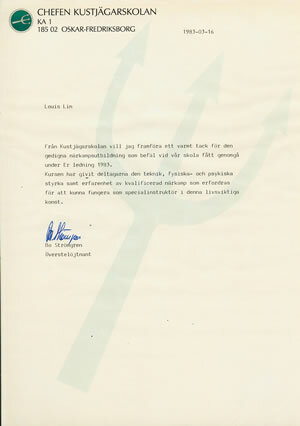 1979 Founded the Swedish Wushu Federation. 1978-1983 Taught O Shin Chuen at the Royal Opera (Kungliga Operan) in Stockholm. 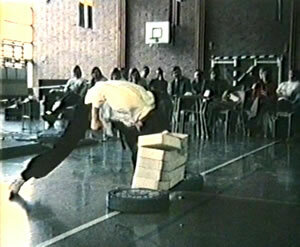 Picture: Operans Kung Fu Klubb 1978. 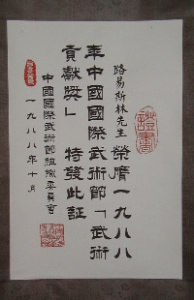 1978 Awarded by the chairman of the Judo Association of the Republic of China, M.C. Mao, for his worldfamous success in Chinese Kung Fu. 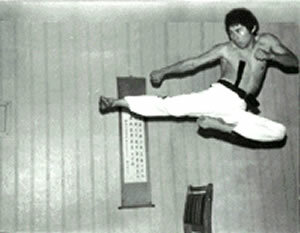 1977 The first person to perform martial arts on the Swedish national television, Sportspegeln. at the Nordic Weight lifting Championship. Click on the picture to see the YouTube video. The performance got the attention from the leading Swedish Body-building magazine Hercules. 1977 Founded Louis Linn O Shin Chuen Union. 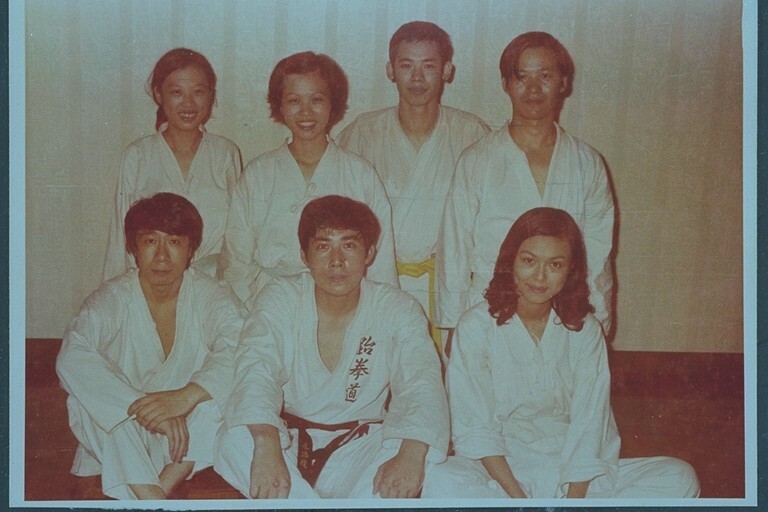 1976 Elected as adviser of the Tae Kwon Do committee at the 3rd congress of the Taipei Sport Association. 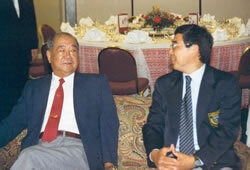 1976 Elected as adviser and board member of the Kuoshu committee at the 3rd congress of the Taipei Sport Association. 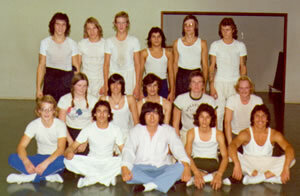 1975 Founded the Stockholm Wushu Academy, the first Wushu/Kung Fu club in Sweden. Picture: The first Swedish O Shin Chuen group 1975 in Högdalen. 1975 The first demonstration of Chinese Kung Fu in Sweden at the Karate Gala in Eriksdalshallen, Stockholm. Picture: Program from the Karate Gala 8 September 1975. Sifu Linn was contracted as the main actor in Gou Hua and Kai Fa Film Corporations and acted in seven films produced in Taiwan and Hong Kong 1971-73. Pictures: Sifu Linn in action in "On The Verge Of Death" aka "The Line Of Death" (1973). You can see the fight scene in the Gallery. Pictures: "Ever Victorious Hall" aka "Kings Of Kung Fu" (1973). You can also find him in Wikipedia.